Are Angels Watching, or Is the NSA? No. Some people claim that President Obama didn’t even know about the full extent of NSA spying. Indeed, I imagine that President Obama was almost as surprised as the rest of us when he first discovered that we live in a mass surveillance state in which billions of emails, phone calls, facebook metadata and other data are being collected. Who knows? As Tabrrok reminds us, the NSA listened in on Angela Merkel’s phone calls. What if Romney called her during his 2012 campaign? In any case, he’s certainly right when he says that “Men are not angels.” Nevertheless, Tabarrok doesn’t think the NSA forwarded any tapes on to the Obama campaign. Still, “Men are not angels,” right? Did the NSA use the information they gathered on Mitt Romney and other political candidates for political purposes? Probably not. Will the next president or the one after that be so virtuous so as to not use this kind of power? I have grave doubts. Men are not angels. The Nixon administration plumbers broke into the offices of Daniel Ellsberg’s psychiatrist in order to gather information to discredit him. They busted into a single file cabinet (pictured). What a bunch of amateurs. The NSA has broken into millions of file cabinets around the world. 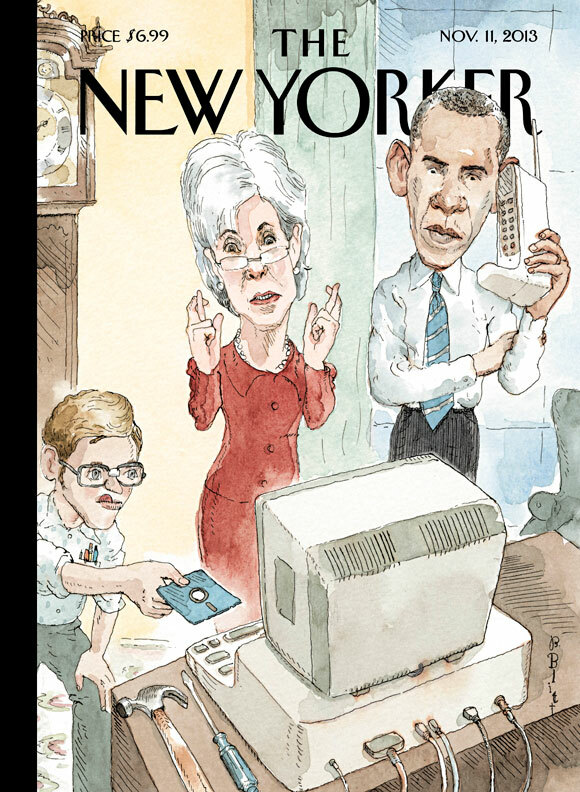 The New Yorker has its say on the Affordable Care rollout. If you’ve ever wondered what happens in the Supreme Court, you’re living at the right time. The Internet generally and Oyez.org particularly open the door to the court so that as early as the day of an oral argument, you can actually listen to the argument as you read the transcript of the argument. Obviously, if you can do that, you can also listen to older oral arguments, even arguments as old as Roe v. Wade, the abortion decision, or New York Times v. Sullivan, the decision that established the actual malice standard in defamation cases, or New York Times v. Nixon, the so-called Pentagon Papers case. It’s fascinating–at least to me. The technology the Court uses has improved over the years, so the recordings of oral arguments today are much better than they were, say, in the time of Roe v. Wade. In any case, take a look at Oyez.org (and even a tour) and take time to listen to some of these arguments.